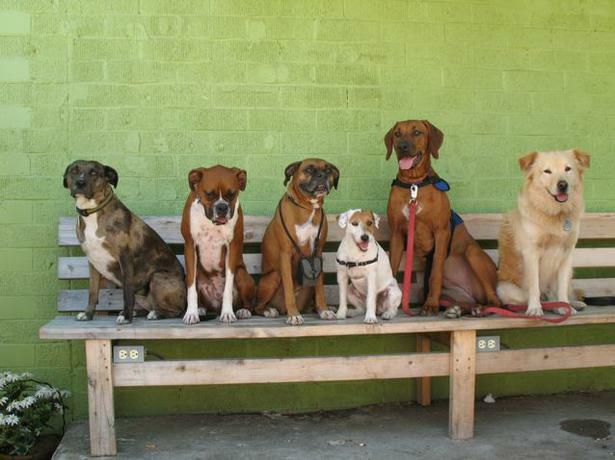 Homepage » Woof Woof » Pet-Friendly Austin, Texas Is The Place To Be! Yee-haw! While visiting Texas for the South By Southwest 2015 Music Festival, I was able to explore the beautiful city of Austin with Baby Hope. The Live Music Capital of the World might inspire you to sing to your pooch. Whether you have pleasant vocal stylings is a matter of opinion, but what is not up for debate is the inspiring culture, delicious cuisine, and stunning scenery. Texas is known for its barbecue and cowboy boots, but I’ve come to know it as the pet-friendliest city in the nation! There’s so much you can do with your pooch by your side in the nation’s second largest state capital. Let’s explore! You and your pooch deserve the best of the best, and you can get that at The Four Seasons Hotel Austin! Relax in the lap of luxury on the green banks of Town Lake. Four Seasons creates garden tranquillity near the Convention Center and the renowned entertainment district. Enjoy legendary hospitality, Texas-inspired dining, lakeside fitness, and spacious quarters. It comes equipped with an outdoor saltwater swimming pool, family room, laundry room, meeting room, and business center! They also offer a full-service spa with a eucalyptus-steam room, including treatments such as massages, facials, nail treatments, and treatments for men. Why wouldn’t you want to stay here?! 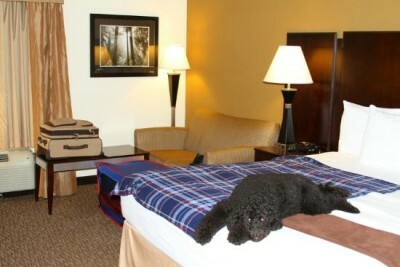 Best of all, they allow up to two pets (25 lbs or less) in your room for no extra charge! How paw-some is that?! To book your stay at The Four Seasons Hotel Austin, click HERE! 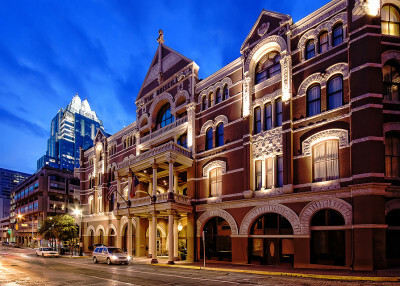 The Driskill, built in 1886 by a wealthy Texas cattle rancher, has long been a destination for politicians, celebrities, and socialites to celebrate, inaugurate, or rejuvenate. It’s the perfect getaway spot for traveling people and their pets who want to experience the opulence of Texas. Over the years, The Driskill has hosted many notable guests including such politicians such President Lyndon B. Johnson (who met his future wife Lady Bird for their first date at the hotel dining room), and President Clinton and Hillary Clinton. Austin, Texas is rich in culture boasting a fine symphony, opera, and other musical venues. Many musicians have stayed at the legendary Driskill including Paul Simon and The Dixie Chicks. 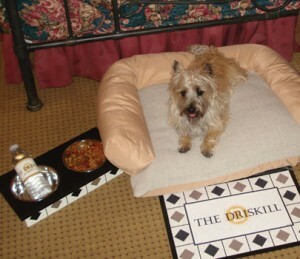 Your pet will be riding the gravy train while enjoying the amenities that The Driskill’s Pampered Pet Program offers, including in a comfy custom-designed pet bed with the Driskill logo, delicious looking bowls, bottled water, gourmet pet treats, and a chew toy. It is available for dogs 35lbs. or less and is restricted to two dogs per room. Chef Troy Knapp provides excellent fare at both the Driskill Grill and the 1886 Cafe and Bakery. The Driskill is also perfectly located to take your dog to many of the famous 6th Street restaurants and shops that will also welcome your pet. Book your stay at the Driskill Hoel HERE! 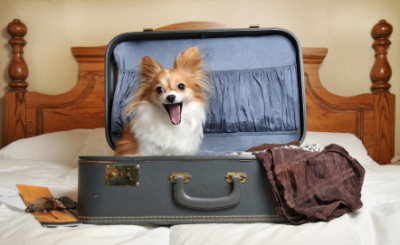 If you’re on a budget, La Quinta Inn & Suites is the perfect temporary home to you and your pup! Modern with a retro twist, this inn is equipped with a crystal clear pool and spa and a fitness center. There is a business center for all of your working needs. There is a complimentary breakfast service, in addition to being within a 10 mile radius to all of Austin, Texas’s idea attractions including shopping centers, parks, beach clubs, and musical events. Or you can simply take the Capitol Metro Rail to Downtown Austin. There, you’ll enjoy beer gardens, museums, trails rides and plenty of music venues in a place appropriately dubbed, “the Live Music Capital of the World.” Each room is equipped with free Wi-Fi, a microwave, a TV with premium channels, and a mini refrigerator. You don’t even have to leave the hotel! Everything is right there for you! Children 18 and younger, stay free with a parent or grandparent. And, the best part about this place? 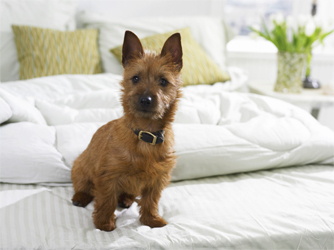 They allow your dog to stay with you (just make sure it’s two or less!). 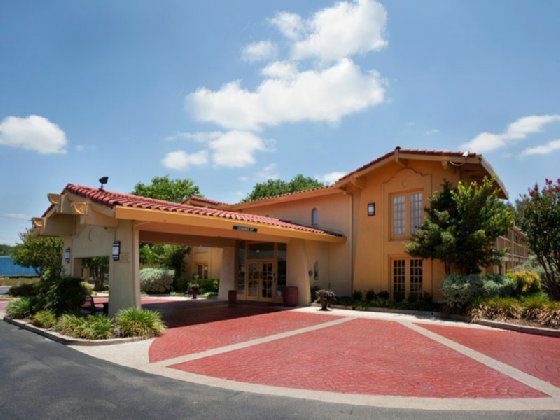 Book your stay at La Quinta Inn & Suites HERE! That flight and checking in to your hotel probably worked up an appetite. The Irie Bean Coffee Bar is the pawfect spot for you and your pup! This eatery has a monthly Austin Yappy Hour that takes place the last Friday of every month. Bring your furry friends for a true pet pampering event. Stock up on Doggy Gear, get your pup a Doggy Mani/Pedi, and take in Dog Training Tips for Nancy Cusick, Austin’s “Most-Awesomist” Dog Trainer! Started by three friends in 2006, Irie Bean is more than just an ordinary coffee shop. Their customer-base is a community of diverse people who share a bond through living life with an “Irie” state of mind. The Irie Bean Coffee Bar’s goal is “to provide an environment where positive vibe abound.” They offer coffee, espresso, beer, wine, and a variety of treats from local vendors. There’s indoor and outdoor seating perfect for mingling with other pet-parents. Dinner for two, anyone? 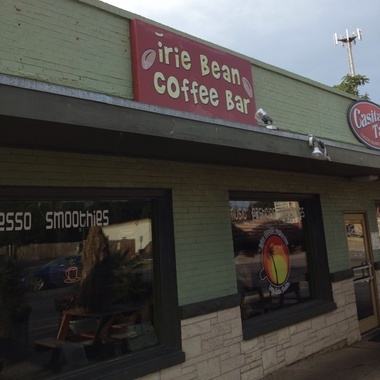 For more information about The Irie Bean Coffee Bar, click HERE! It’s time to relax after snack time! 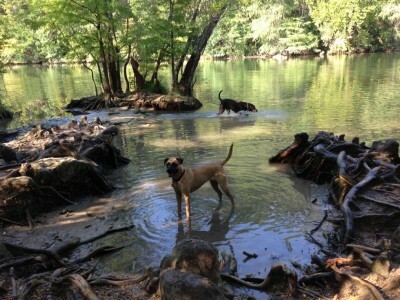 If you want a perfect place for your pretty pooch to play, Red Bud Isle is your destination! Surrounded by water on three sides, this peninsula provides a great place for pooches to socialize, swim, frolic and wear themselves down. Parking is at a premium, so bring a smaller vehicle. Carry towels and an extra set of clothes in your doggy bag, if you don’t mind getting down and dirty with the dogs! It spans over 13 acres, and don’t even worry about a leash. Your canine is allowed to roam the premises, leash-free! While your pup is roaming, you can take a seat in the designated picnic area. The point is a great place to watch your dog swim and the short loop trail is great for walking with your dog. Canoers and kayakers often take advantage of the waterways. To enjoy the gorgeous natural scenery that Austin has to offer, we suggest a little trip to Red Bud Isle. For more information about Red Bud Isle, click HERE! 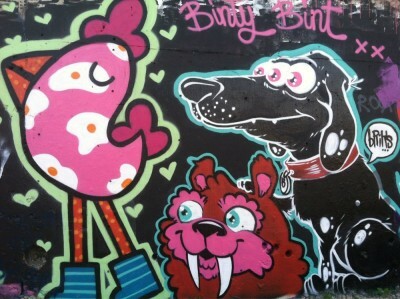 If you and your canine want to explore Austin’s art scene, then we suggest a little trip to HOPE Outdoor Gallery. I know what you’re thinking. No, Baby Hope was not named after this cool gallery (and vice versa), but anything with the name “Hope” in it is worth taking a visit. The HOPE Outdoor Gallery (HOG) is a three-story educational art project located at 11th & Baylor Streets in Austin – one of the largest outdoor galleries in the USA. This project was developed to provide muralists, graffiti artists and community groups the opportunity to display large scale art pieces driven by inspirational, positive and educational messaging. In addition, the project activates and beautifies a dynamic yet underutilized space with a great view of Austin! Some pawfect artwork at HOPE Outdoor Gallery! And, it’s all for a great cause! HOPE is a socially conscious team of producers. They create events that mobilize people to get involved and help projects and organizations around the world. Through events and their ongoing projects, HOPE provides ways for artists and musicians to collaborate and donate their talent and influence — contributing creative value instead of simply writing a check. Your furry friends are welcome to join you at the HOPE Gallery, but they must remain leashed and well mannered. Dogs, art, and charity?! That’s our kind of activity! 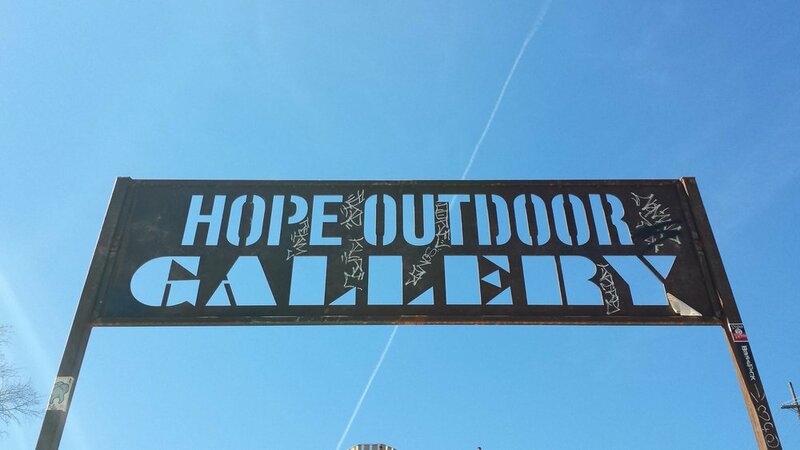 For more information about the HOPE campaign, and HOPE Outdoor Gallery, click HERE! To donate to the HOPE Campaign or purchase their products, click HERE! All of this activity calls for some rejuvenation! 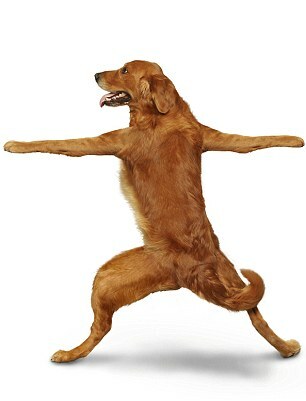 Refresh, renew and reset with Fido by your side in a relaxing doga (yoga with your dog class) taught by dog lover, Nicole. She is a Licensed Master Social Worker, animal advocate, registered yoga teacher, and the founder of Austin Doga. For more information about Nicole and Austin Doga, click HERE! Austin, Texas has so much to offer for you and your furry friend. It’s time to venture out and experience this way of life, ya’ll. To adopt a companion for your next trip to Austin, Texas, click HERE! The post Pet-Friendly Austin, Texas Is The Place To Be! appeared first on Animal Fair | Wendy Diamond | Pet lifestyle Expert | Animal Rescue Advocate/ Celebrity Pets. Adopt Me! Trixie Needs Some TLC! Why You Must Watch the Superbowl With Your Pup!